Rachel is a gorgeous girl with a beautiful smile and an adventurous spirit. 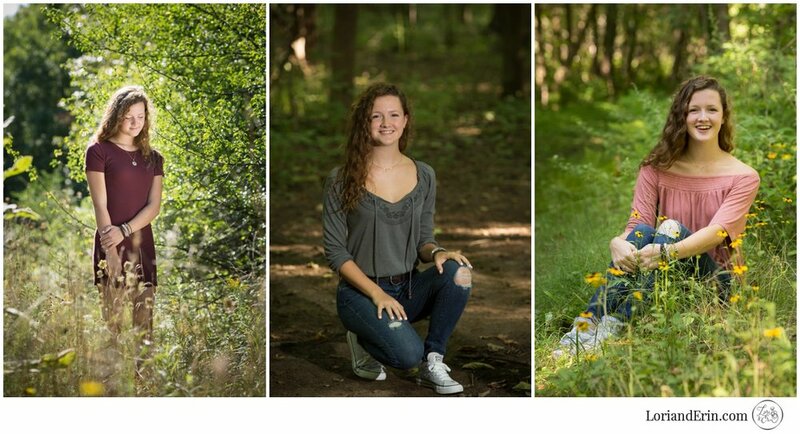 So naturally, we went on a little adventure for her senior pictures. This bubbly Victor High School student led us on a tour of part of the Auburn Trails in search of an old abandoned house at the end of this particular trail. Unfortunately we took a wrong turn somewhere and never found the house, but we did find some spectacular spots for her portraits anyway! We found pretty wildflowers and fun trails paths through the woods. The black eyed susans were exactly the right color we were hoping to find. And her big teddy bear of a dog, Coda, was the best (and most lovable) accessory to her portraits. Have a fun-filled Senior year Rachel!